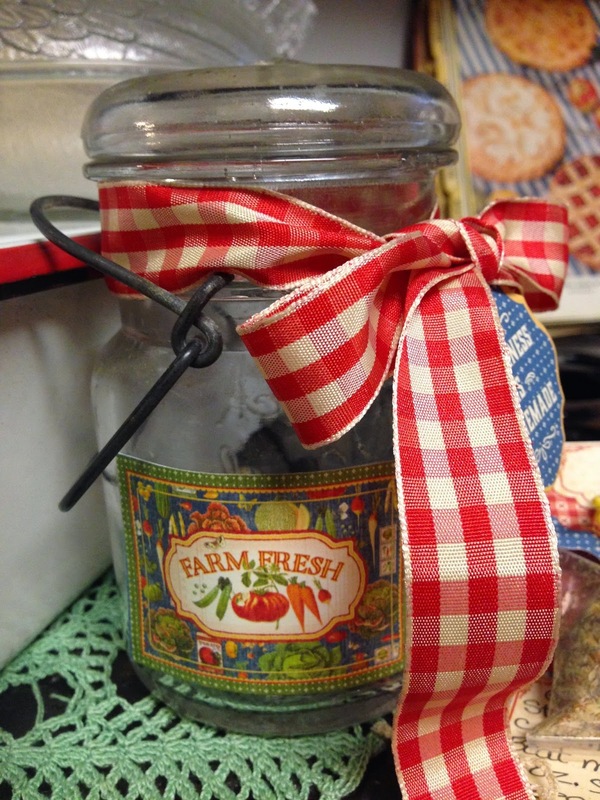 FotoBella: Fun Projects with "Home Sweet Home" by Graphic 45 & FotoBella! Fun Projects with "Home Sweet Home" by Graphic 45 & FotoBella! 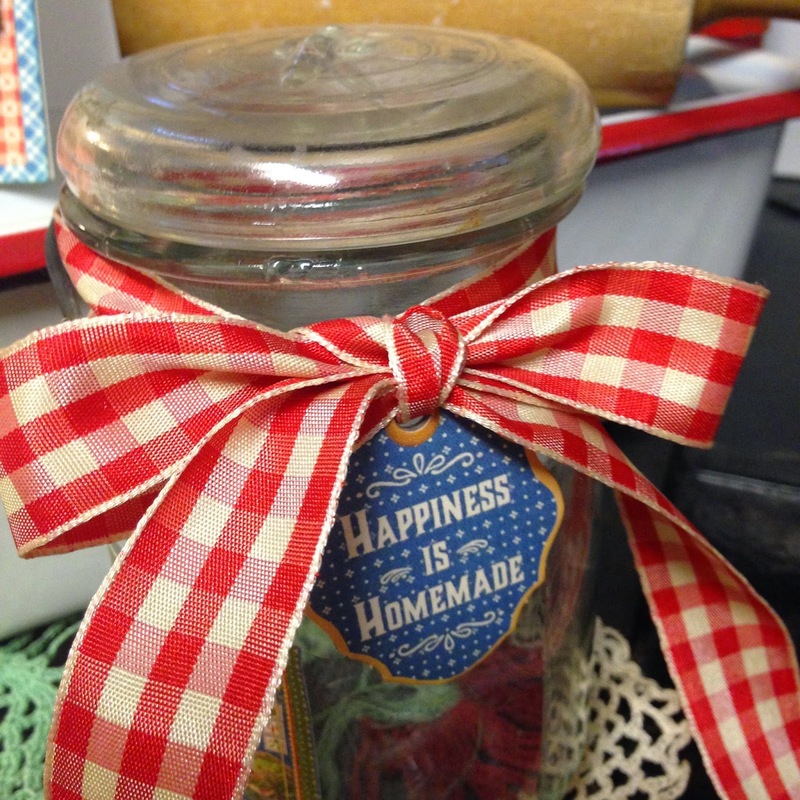 Today I'm sharing a few projects I made using the Home Sweet Home "I want it All!" Bundle from Graphic 45 and FotoBella. I had so much fun with the Home Sweet Home paper collection that I could't stop myself! 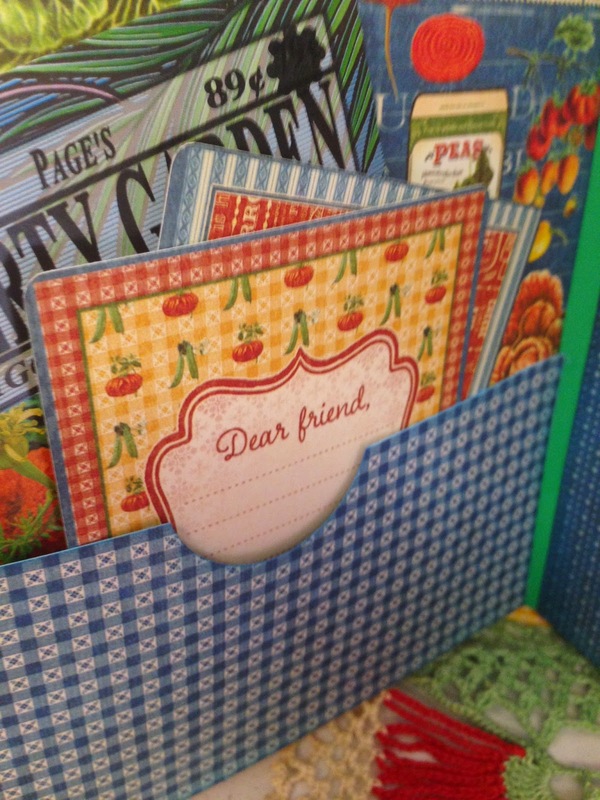 This paper is so bright and cheerful, with just the right amount of vintage and nostalgia! You won't be able to stop creating! I sure couldn't! the Home Sweet Home Bundle from Graphic 45 and FotoBella! I started by making a little friendship book, using just two sheets of heavy card stock. It was fun and easy to decorate my little book using the chipboard embellishments in the bundle. I also used the sticker sheet to add sentiments to my book! A Floret embellishment adds the finishing touch! You do, with this darling collection! It even has tried and true recipes! 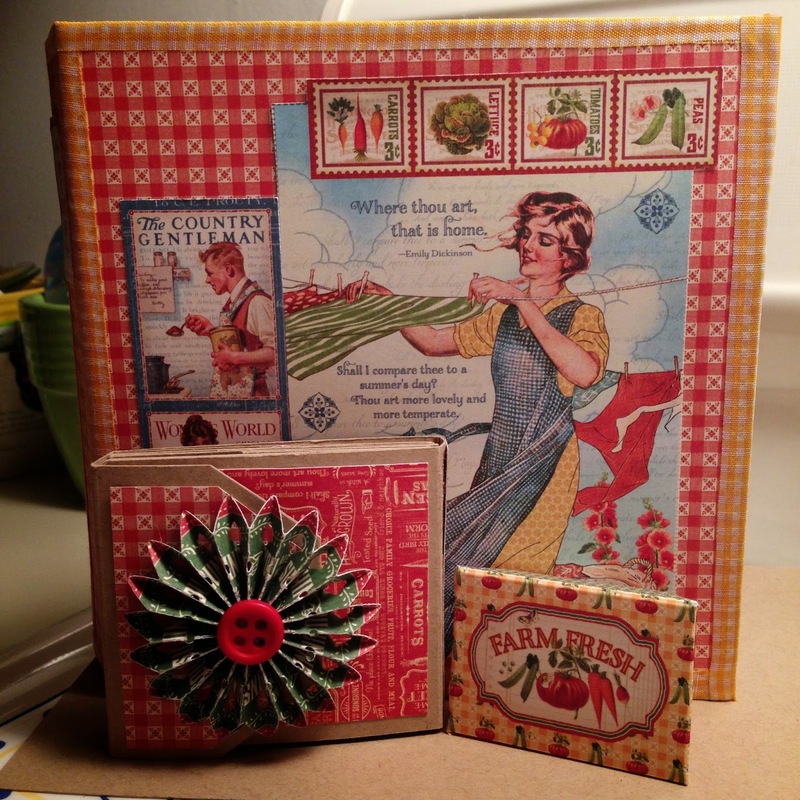 This is a little veggie dip wrapper complete with recipe card made with the Tags and Pockets pack. and a label from the chipboard set . A die cut label added the finishing touch! I hope you give it a try, and see what YOU can create! The Home Sweet Home collection includes the Home Sweet Home 12" x 12" paper pad (3 sheets of 8 double-sided designs), Home Sweet Home 8" x 8" paper pad (3 sheets of 8 double-sided designs), 6"x6" paper pad (3 of 12 double-sided designs), three packages of coordinating cling stamps, decorative chipboard, journaling chipboard, 4x6 & 3x4 Journaling & Ephemera Cards, tags and pockets, 12"x12" decorative and alphabet combo sticker sheets, and exclusive FotoBella paper storage box. Labels: Fotobella, Graphic 45 Home Sweet Home, Home Sweet Home, I want it all bundle, Mini Album, ReNae Allen, versatile. You're projects are amazing, they use the papers and embellishments to their full potential. I love each and everyone of them. You are very talented, it hey speak to my taste immensely. Julie, (((hugs))) to you too! And thank you for your kind words! Fantastic projects, ReNae! Your ideas are amazing! You've outdone yourself ReNae! Such a fabulous collection of projects! Michelle (Tweedles), thank you so much for your kind words. I appreciate the fact that you like them and I'm glad that you found them to be to your taste! We designers try hard to come up with ideas that are innovative yet something that you can easily achieve at home! None of these projects are difficult, yet they're challenging! I hope you give this paper collection a try! I would love to see what projects you come up with! Oh Apryl, you inspire me with each and every project you create! Thank you for your sweet comments! Wow!! Amazing projects ReNae!!! They're all so beautiful!! Wonderful work with that bundle! Drea, thank you for your kind words! This collection was one of those that i just couldnt put down, I kept finding more and more things to make! Love your books so pretty-the colors really pop out. 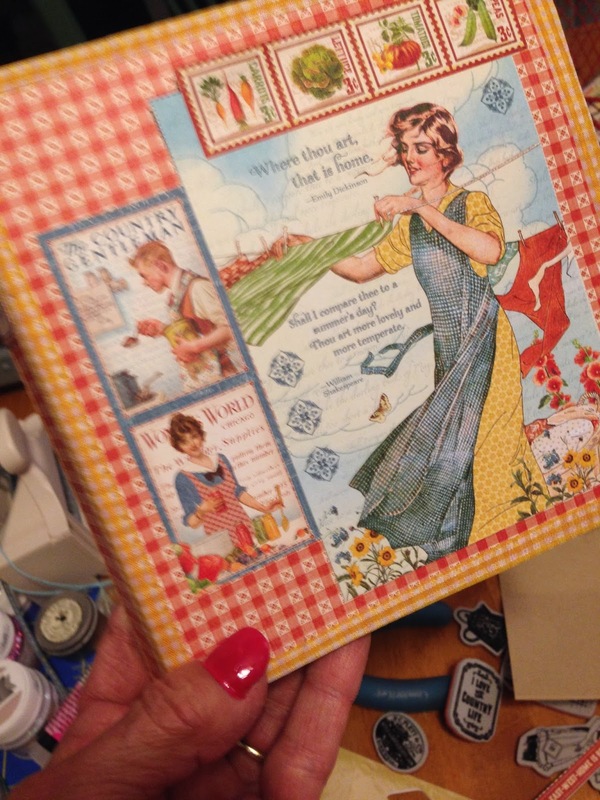 The little tiny book is my favorite-did you use a die or design it yourself? Your sign looks so cute! I would love to have a custom sign like this hanging in my home! circulon frying pans From your post it doesn’t appear to be too complicated to make, which is great! I feel like I could probably make a sign like this in a weekend or two, given the proper materials. I think that I’m going by the craft store this weekend, which means that I could pick up everything that I need while I’m there! When it comes to paint, is there a specific brand that you would recommend I buy to use for this project? I really enjoyed reading exterminator tucson your articles. I found this as an informative and interesting post, so i think it is very useful and knowledgeable. I would like to thank you for the effort you have made in writing. Shen Tong is a sequential entrepreneur, writer/poet, angel investor, social activist, foodie, and a film buff.